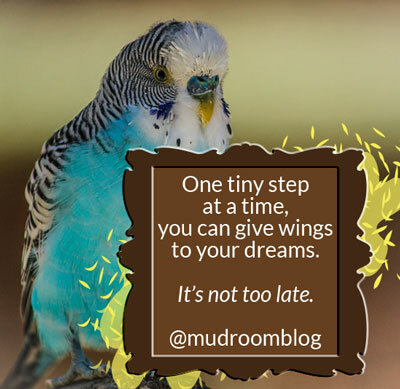 It’s Not Too Late for Your Dreams: My Article on The Mudroom Today! Click the meme to share it and the Mudroom link on Facebook! Dear, precious readers, want to hear about a few of my (very embarrassing) failings? And get encouraged to chase your dreams at the same time? Yes? Awesome! 😉 Because I’m so excited that TODAY, for the VERY FIRST TIME (!!! ), I have an article up on The Mudroom. It’s my tell-all disclosure about how very bad I am at … well, something! You’ll have to read it to find out what. And to all my NEW guests from The Mudroom … welcome! I’m so honored to have you stop by! I’m Jamie, and it’s great to meet you! then there’s my all-time most popular post, Pray This Prayer to Reverse Unjust Situations (a Biblical prayer claiming God’s promises to help you when you’re oppressed). If you like what you see, sign up for free email updates and get my Supernatural Lifestyle Toolkit (a $28 valu e) absolutely FREE! That’s it! It’s great to meet you! If you’re new here today, I pray you’d be encouraged by what you read. 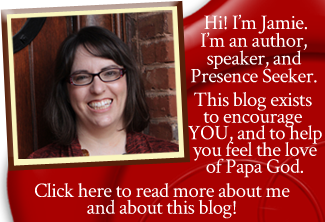 Please feel free to leave a comment and introduce yourself; I’d love to meet you! What an encouraging word. I’m also not a great finisher. If I had a dollar for every great idea I started out on…well, you get the picture. Thank you for reminding me that my dreams are valid and God-made and that it’s not to late to pursue them whole-heartedly (is that a word? ?). And yes, baby steps. I’m learning the wisdom of baby steps, for me personally they are the only way I will get anywhere. Thanks again Jamie and God bless you. Yep, that’s a word. 😉 Thank you so much for reading, June! I’m trying more and more to work on finishing things as I recognize that I need to be a better steward of things Papa has blessed me with, including ideas. And He is blessing. I pray He would come up beside you in your baby steps and bless them too. We’re sooo on a journey. But thank God, we’re not where we used to be! Oh WOW I never thought of it that way! Of needing to be a steward of ideas because God has blessed me with them!! Oh wow, wow, WOWWWW!!! Thank you Father for opening my eyes to this!